We kindly inform, that the Visitor Service Center and the exhibitions barracks nos 47 and 62 will be closed on Sunday, April 21. 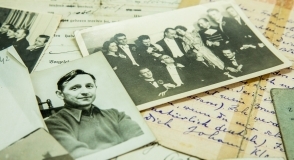 In September 2018 a collection of archives related to Doctor Jan Klonowski was added to the Museum's collections. The remembrances were donated by Antoni Klonowski, his son. Prisoners of stalags, oflags and the Majdanek camp and Lublin Castle referred to her as ‘Aunt Antonina’ or ‘Dear Mother,’ whereas for habitants of Lublin she was known as a patriotic and social activist, whose social activity was honoured by naming one of the streets of the city after her. 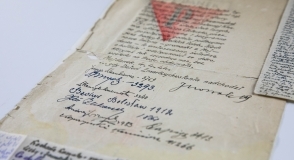 Family of Antonina Grygowa, mentioned above, donated to our Museum almost 200 secret messages sent by Polish prisoners of the Majdanek concentration camp. 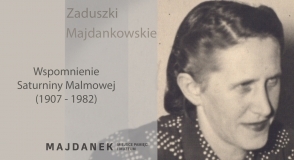 You are cordially invited to a meeting devoted to the memory of Saturnina ‘Mother’ Malm which will take place on Thursday, November 15, 2018, at 12 p.m. at the Visitor Service Centre of the State Museum at Majdanek. 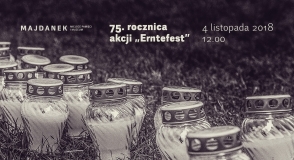 The event is organised over the cycle ‘All Souls’ Day at Majdanek’. On November 4, the 75th anniversary of operation “Erntefest” is observed that was the biggest execution by firing squad in the history of the German concentration camps. It resulted in killing over 18 thousand Jews at the Majdanek camp. 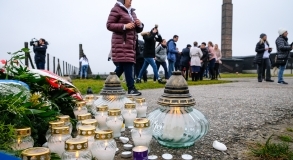 Everyone who would like to pay tribute to the murdered, by lighting candles and laying down wreaths at the foot of the obelisk next to the Mausoleum, is invited to the Museum at Majdanek at 12.00. 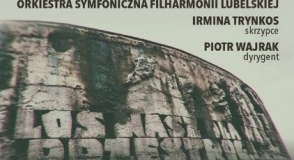 The State Museum at Majdanek and the Henryk Wieniawski Lublin Philharmonic cordially invite on 4 November, 6 pm., to symphonic concert “In Memory of the Holocaust Victims.” It is organized on the 75th anniversary of operation “Erntefest” (“Harvest Festival”), in course of which on 3-4 November 1943 Germans shot 42 thousand Jews in the concentration camp at Majdanek and in labor camps in Trawniki and Poniatowa. 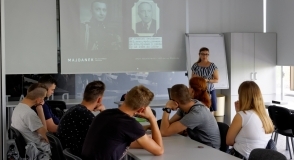 In the State Museum at Majdanek, the third edition of methodological training for extracurricular historical education in post-camp memorial sites took place. It was so popular that we have organized it twice: on 6 and 20 October. 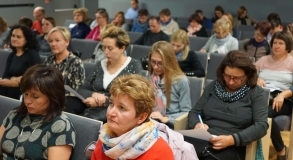 It was participated by over 100 teachers and educators from all over Poland. On 14 October 1943, the uprising broke out in the German Nazi death camp in Sobibór. It was one of the most remarkable acts of Jewish resistance during WW2, next to the rising in the Warsaw ghetto and the revolt in the Treblinka death camp. The ceremony commemorating the uprising is held on Sunday, 14 October, at 12.00 at the Museum and Memorial Site in Sobibór. German Nazi Death Camp (1942–1943). Branch of the State Museum at Majdanek. Between 2000 and 2017 archaeological research was conducted in the area of the former German Nazi death camp in Sobibór, whose main purpose was to reveal places with the ashes of the murdered and to recognize the topography of the camp. 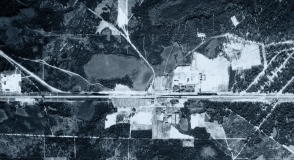 Germans erected the death camp facility approximately five kilometers from the village of Sobibór, in the area adjacent to the nearby railway station. 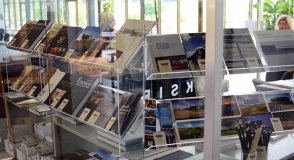 From September 29, the latest temporary exhibition can be seen in the Visitor Service Center at the State Museum at Majdanek. 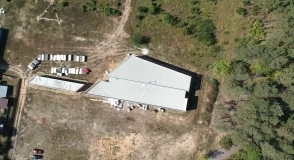 It is devoted to changes in space in which the German Nazi concentration camp was located during the war. 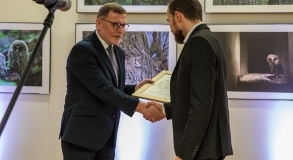 Moreover, a lecture prepared for the vernissage by one of the exhibition's authors, Krzysztof Tarkowski, was dedicated to transformations of the area. 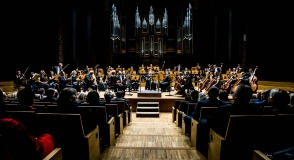 On September 15-21, 2018, the 15th edition of the Lublin Festival of Science took place. This year's motto was "Man as an inspiration for science." 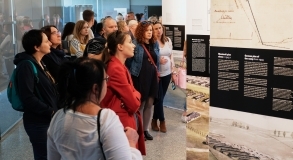 The State Museum at Majdanek took part in it for the 13th time. 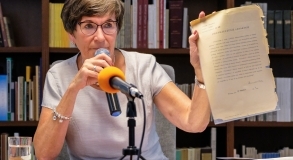 On September 12, 2018, the State Museum at Majdanek hosted Mrs Ewa Sztaba-Chmielarz, a daughter of professor Romuald Sztaba who was a prisoner of the following German concentration and extermination camps: Auschwitz, Majdanek, Gross-Rosen and Leitmeritz. 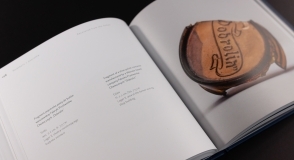 Ewa shared with the listeners not only her personal family history, but also donated her father’s priceless memorabilia to the Museum Archives. 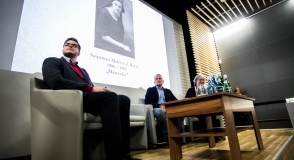 The book’s launch event organised by the State Museum at Majdanek (PMM) together with the History Meeting House (DSH) took place on September, 11, 2018. 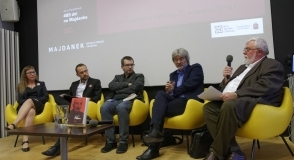 Specialists from Poland and the United States discussed the new issue of Jerzy Kwiatkowski’s memories titled “485 dni na Majdanku” [485 days at Majdanek].